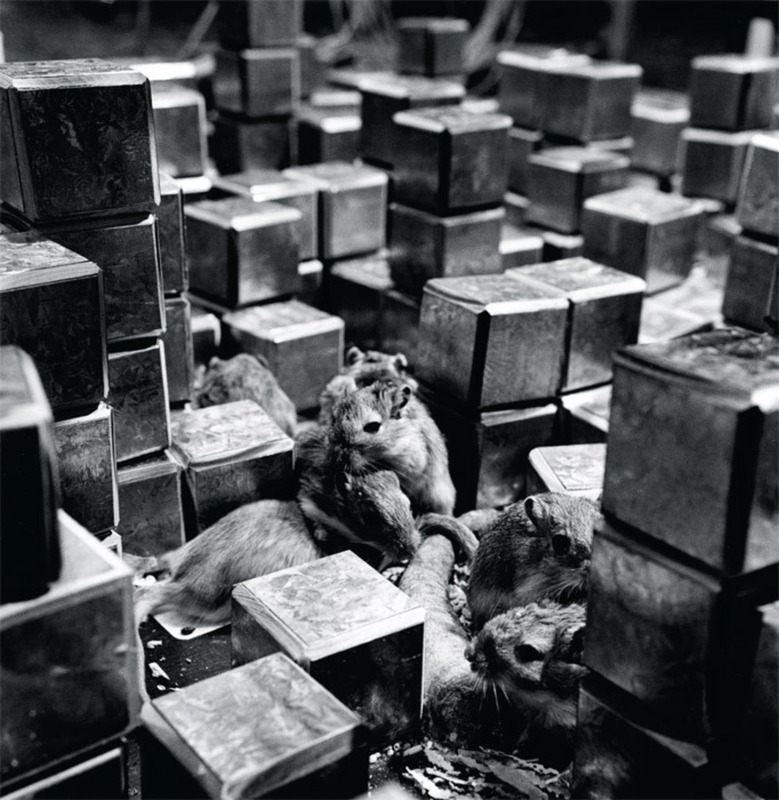 Gerbils living in the computer-manipulated environment of the Architecture Machine Group’s Seek, 1969–70, Jewish Museum, New York, 1970. Photo: Shunk-Kender © Roy Lichtenstein Foundation. HARDWARE, SOFTWARE: Do these terms still summon entities and concepts that can be evoked in art? Can they still be represented, in other words? And perhaps more to the point, does this figurative possibility seem useful, now that soft and hard technologies have become our half-human familiars, the tireless servants of our physical and mental lives? Good-bye to worry beads and knitting; hello to hands tightly gripping their talismanic devices and laps in which pet machines purr softly as the hours go by. Today’s genies arrive as a ceaseless deluge of downloads and leave their traces in the signature logos that so swiftly appear on our screens. If contemporary software looks like something, that something is a consumer possibility, an interface, an everyday application of technology’s extraordinary force. It’s all so easy, so frictionless, so self-contained. Order the PRINT EDITION of the September 2012 issue for $17 or the ONLINE EDITION for $5.99.